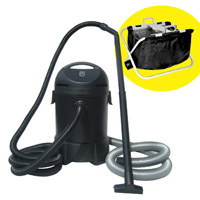 Hozelock Bioforce Revolution 14000 Filter & Aquaforce 8000 Pump Set: Pump and Filter Sets: Pump and Filter Sets - Buy pond equipment from Pondkeeper: fishing out the best deals on the net. 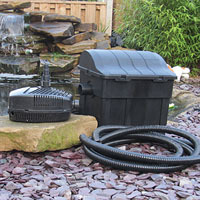 Save £34.99* on this premium pond pump and filter set. 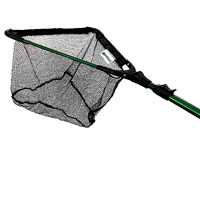 This must be the easiest to clean pond filter we have ever seen! 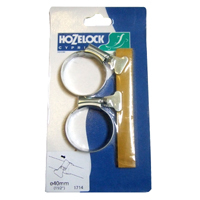 After years of research Hozelock have brought to market a pond filter set to 'revolutionise' the market place in the Hozelock Bioforce Revolution 14000. 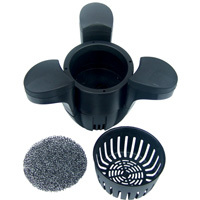 The name of the product stems from the cleaning handle which revolves around and cleans the sponges inside the unit - what is clever is that sponge barrier consists of many individual blocks rather than the usual uniform ring. This means that all of the sponges get cleaned, not just the sides or top surface which is common with existing filters. 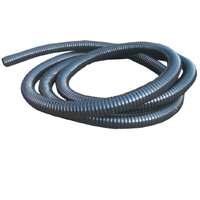 Paired with this filter is the reliable Aquaforce 8000 pump (skimmer not included in this set). 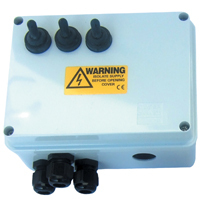 This set is suitable for goldfish ponds up to 16,000 litres or koi ponds up to 8000 litres. * Saving based on individual price of set items.